One lucky shot - and your music career at the peak! We collected killer services in one place! This category includes Spotify Custom Packs with several types of promotion. Increase the reach of your audience and number of plays. Buy more exposure, streams, and followers for your tracks and songs on the most popular streaming platform. Here's a straightforward one. Get exposure, streams, and followers for your song or track on Spotify. You have to send for us a playlist with 7 of your songs and 3 famous songs in the same genre. 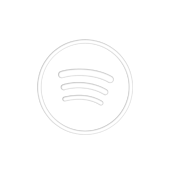 We will deliver real 1,500 followers to the playlist and provide real 20,000 (split) plays for all your tracks! With this promo pack, Spotify will categorize 7 songs of the customer in the same category as the 3 famous songs and will send the songs to the Discover Weekly and Release Radar of the listeners of the famous songs, generating a lot of additional plays and a higher profile.